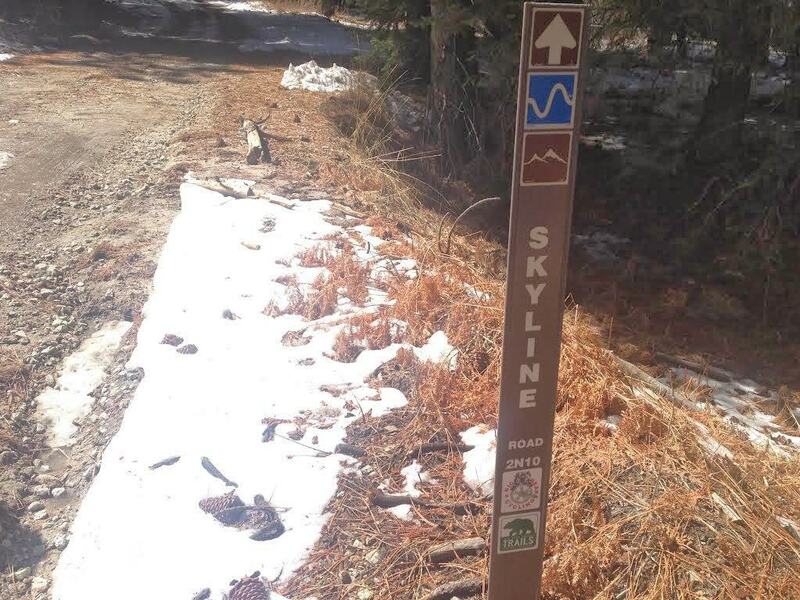 If you are looking to get off the beaten trail and explore a hidden forest area of the local San Bernardino mountains, then Mill Creek Road Hiking trail is for you! 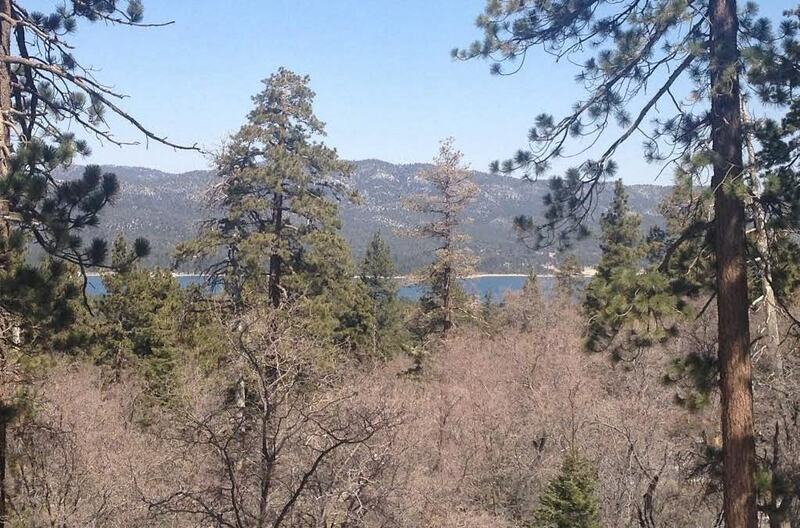 Located just 5 minutes from Boulder Bay in Big Bear Lake, the trail features scenic forest wilderness and a well-maintained path. We discovered this hiking area due to the fact that Gray’s Peak Hiking Trail in Big Bear was closed until April 1st to protect the Bald Eagle. 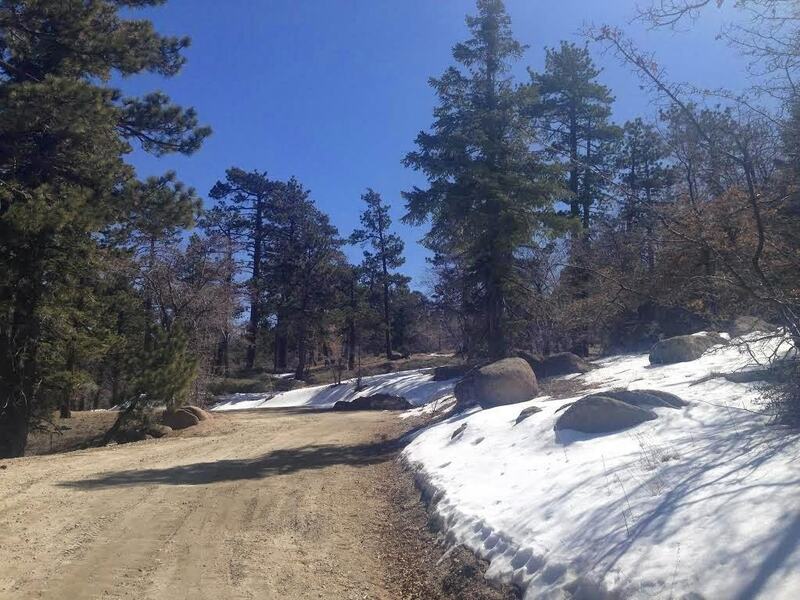 Mill Creek Road Hiking Trail in Big Bear is great for those winter months – when snow isn’t too heavy and you’re looking for an easy-to-moderate hike in the brisk mountain air. We say “moderate” due to the fact that the mountain air is thinner, so even though the terrain is fairly flat, it will make you work harder than normal! 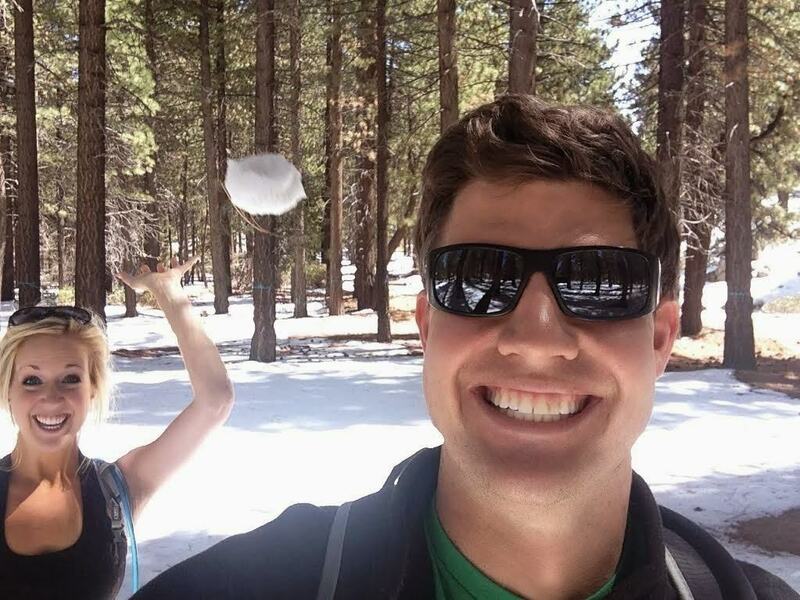 Hiking in the snow? Who would have thought! 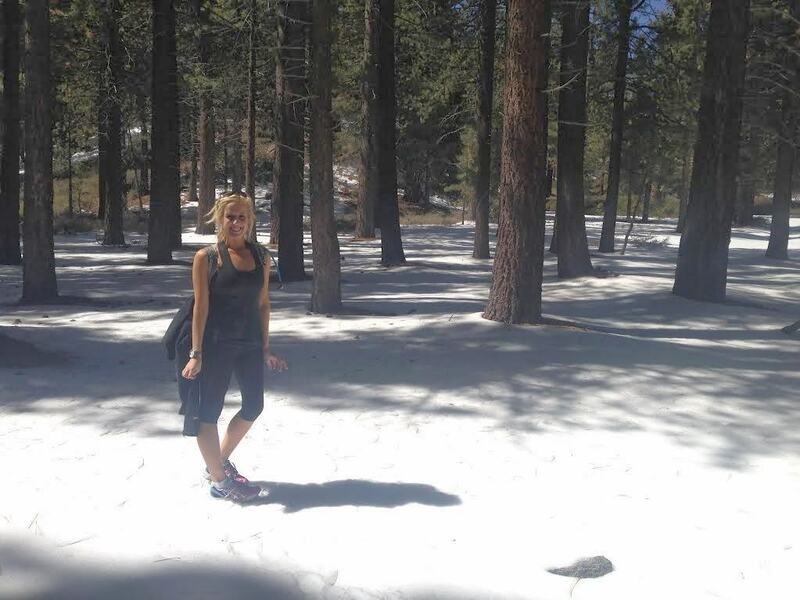 This was the first “snow hiking” adventure for the Go Hike It! Team and we enjoyed every moment! 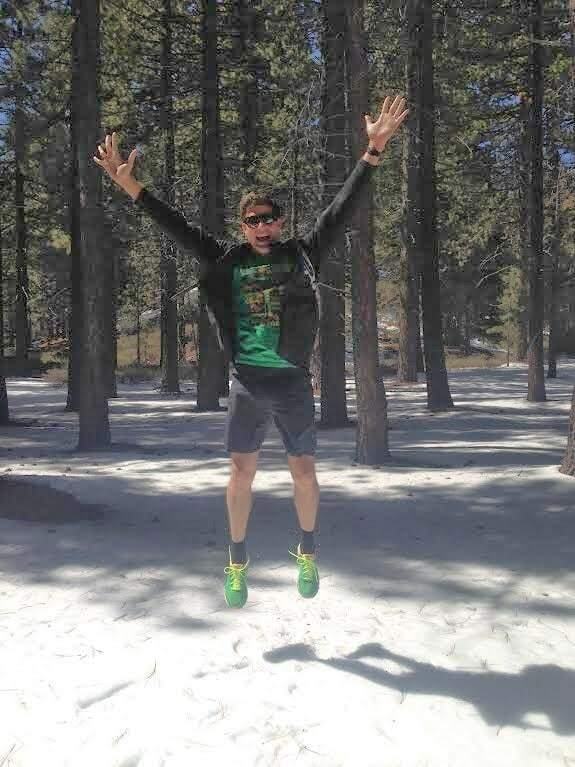 Even though there was plenty of snow on the ground, we were still able to wear tank tops and shorts (we suggest bringing a jacket too, as it can be quite cold in the shade).This Big Bear hike offered great forest scenery and peak-a-boo views of lake. Plus, it was very vacant, as we only saw one other group on the trail! 4-8 miles, depending on how long you venture up the trail. We went 2 miles in and 2 miles back. Merge onto CA-210 W via EXIT 77B toward Highland/CA-330. Keep right to take CA-330 N via EXIT 81 toward Big Bear. Turn sharp right onto Mill Creek Rd. Take the I-15 N/Escondido Fwy N.
Keep right to take I-215 N via EXIT 63 toward Riverside/San Bernardino. After you make a right on Mill Creek Road, continue up the road for about a mile, staying on the main road. The road will veer to the right, where you’ll come across a gate (it was closed during our visit). That’s where you’ll park, along the side of the road. Please note, there are several signs that read “Adventure Pass Required When Snow Is Present.” Adventure passes are sold for $5.00/day at local shops in the area. Spring-Summer-Fall: Although the Go Hike It Team completed this Big Bear hike in the late winter, it’s recommended to enjoy the Mill Creek Road in the Spring to Fall months. There’s plenty of trees for shade during the warmer months, but if the temperatures are high, we recommend completing the hike in the early morning or late afternoon. Look around before take a selfie! Reached the top! Jumping for Joy! 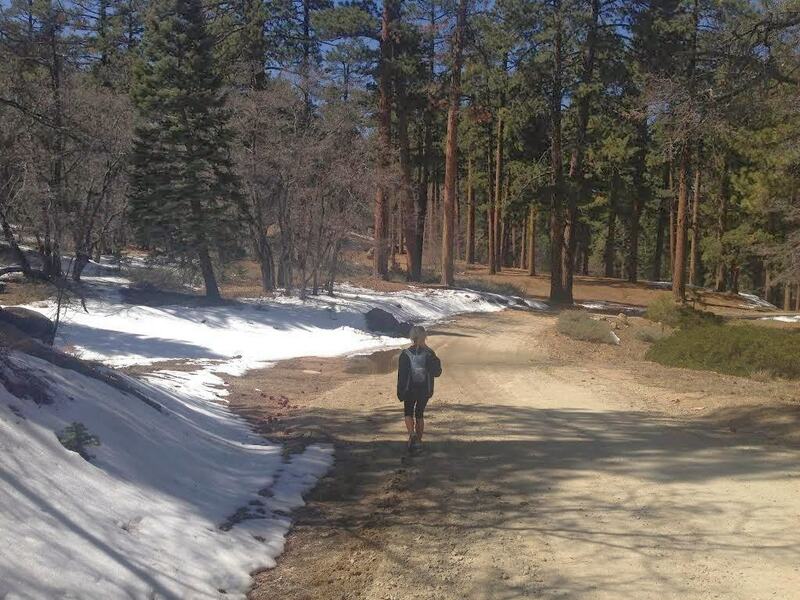 Have you explored the Mill Creek Road Hiking Trail in Big Bear? What’s your favorite winter hike?